The year is 1938 and Scotland is a Republic in response to Edward VIII’s alliance with the British Union of Fascists (BUF). However, the new government is struggling to keep order as tensions between right and left intensify. No where is this more apparent than in Glasgow, home of Red Clydeside - a city that had rejected Moseley and provided men and material to the Republicans in Spain. As the Republic was formed many in Glasgow believed their time was at hand. However, they soon discovered that the new government was essentially conservative with little appetite for social reform, let alone radical left wing politics. In the shipyards of the Clyde an idea is born. Glasgow, city of workers, a city for the workers. The Red Clydesiders, supported by steelmen from the Calton Order of the Starry Plough decide that Glasgow should be a Free Socialist City. One sunny morning, stormtroopers from the Clydeside militia take George Square, the Chambers, the Post Office and the train stations. They seal off the roads into the Square and raise the red flags. The response by the Scottish Government is quick. Moving troops into the city centre, and calling up volunteers, they lay siege to the defenders of George Square. Then news comes through to the City Chambers. A relief force of Clydesiders and Starry Ploughboys is gathering at Glasgow Green, ready to move up through the Tolbooth and Merchant City to raise the siege. They have seized the People’s Palace! Government troops and volunteers have to move smartly to nip this in the bud before it becomes a threat. They rendezvous at the Green to discover that the Clydesiders have dug in. Deploying and calling up armour, they move in to wipe out the threat. Can the steelmen at Parkhead Forge finish mounting that naval Gun in time to give the army boys a bit o’ a fleg? The battle takes place at the front of the People’s Palace, occupied by the Red Clydeside Brigade. The core of this force are two Communist platoons leavened with Spanish Civil War veterans, plus sailors from warships in the Clyde when the conflict broke out. They are supported by hastily trained workers militias from a number of factories and shipyards in the city. They have some improvised heavy weapons and a T26 tank, a solidarity gift from the workers of the Soviet Union. The Government forces have the remnants of the badly equipped post war British army. These are supplemented by volunteer units. The Covenanters, Boys Brigade and even a unit of women raised by the Duchess of Argyll. They heavily outnumber the Clydesiders, but there isn’t much cover in front of the People’s Palace! The basis for the game is the Very British Civil War concept. 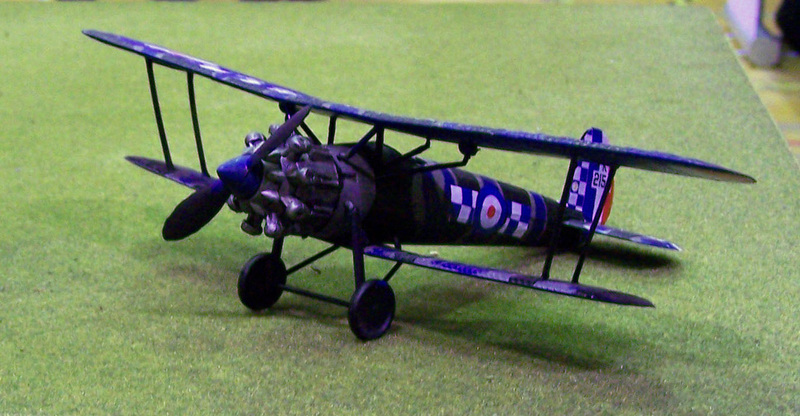 There are a series of booklets, flags etc available from Solway Crafts and Miniatures. 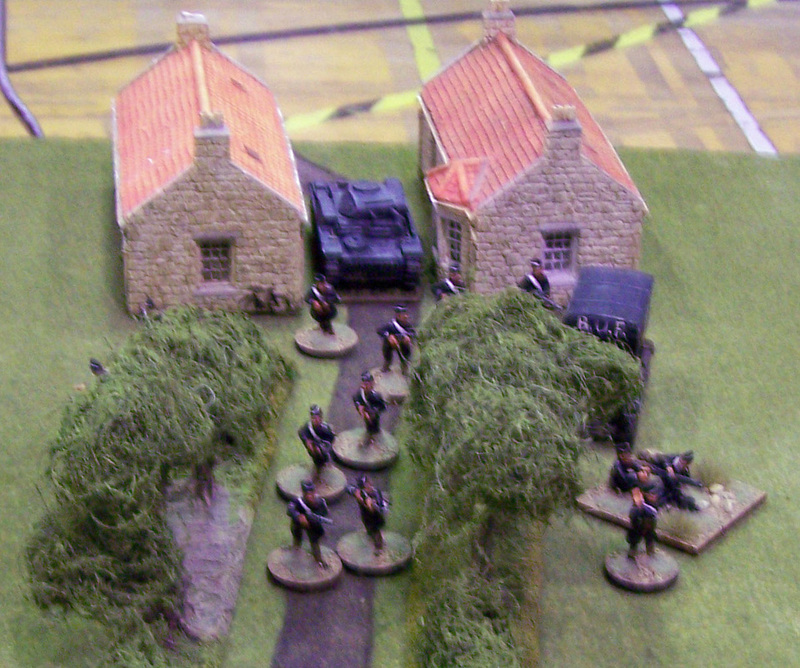 The figures for this game are 28mm from a very wide variety of ranges. 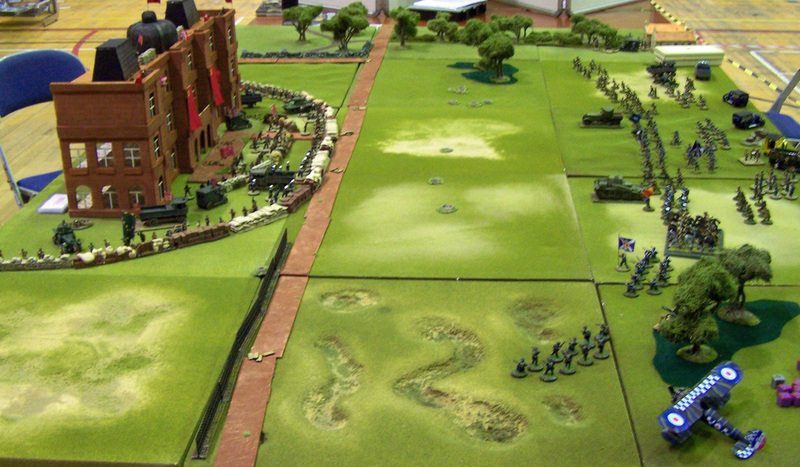 The People’s Palace was built for the game by Iain of Flags of War, with MDF parts provided by those splendid chaps at Warbases. The rules are Bolt Action with the addition of some house rules and chance cards.